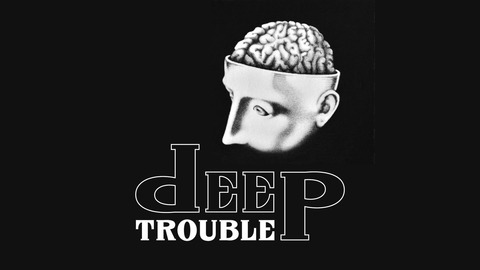 Deep Trouble explores long-form conversations with artists, writers, celebrities, scientists, historians and other public figures, interviewed by an expert versed in therapeutic techniques based upon the principles of Acceptance and Commitment Therapy (ACT), Dialectical Behaviour Therapy (DBT) and Socratic Questioning. 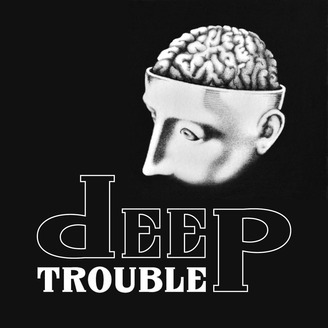 Following on from Trouble’s Social Work interview format, the Deep Trouble podcast, delves deep into the psychological underpinnings of the guests in an attempt to find the signs, events, meanings and narratives that have informed their public, creative and private lives. Amazing interviews with Rev. Tim Costello, acclaimed Cancer Scientist Jennifer Byrne, retired politician and anti-gambling advocate Kelvin Thompson and MORE. The event took place on 7 November 2018, in the Phee Broadway Theatre, Castlemaine, initiated and produced by Lisa D'Onofrio. This Event was supported by the Regional Centre for Culture Program, a Victorian Government initiative in partnership with the Dja Dja Wurrung Clans Aboriginal Corporation and Mount Alexander Shire, and a Mount Alexander Shire Community Grant. Thanks also to Steve Charman at MainFM for help with the recording.